Dual Monitor Stand sup 75 or 100mm VESA. Dual Monitor LCD/LED monitor stand. Supports VESA mounting for 75mm and 100mm spacing. 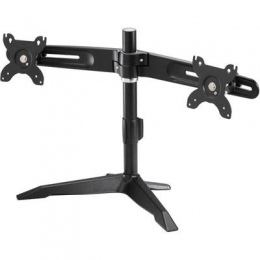 Sturdy cast Aluminium construction with adjustments for monitor rotation and tilt.